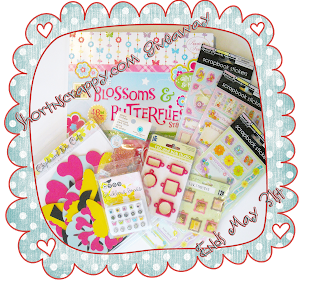 Short 'N Scrappy: "May Comments Giveaway"
I will be having a fabulous giveaway this month. To get in on this giveaway and earn lots of chances to win click HERE or on the image below. Good Luck and Happy Scrappin'! Also, with the recent events that have boosted the moral of our military, I will be participating in the "Thank You to our Troops for a Job Well Done" event tomorrow. I will be making a Thank You card for our troops along with many other talented crafters. God Bless our Troops! Great idea! yes God Bless our troops! This is a great idea too bad I wasn't able to join in like I'd planned on doing.